A moment of silence was held at the United Center after Tuesday's terrorist attacks in Brussels. 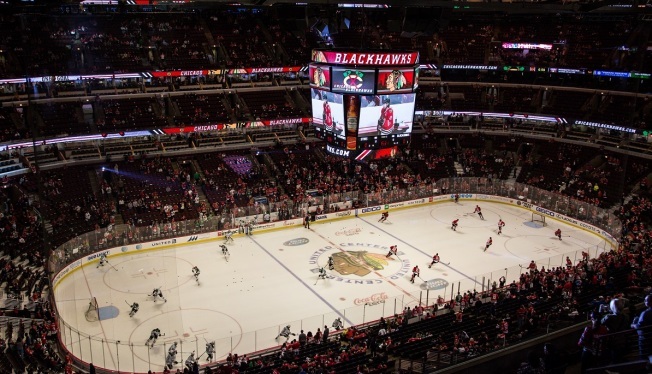 Before the Blackhawks took on the Dallas Stars, the ice was lit up in black, yellow and red, the colors of the Belgium flag. Several buildings across the world displayed the colors as a show of solidarity, including Willis Tower, One World Trade Center, the Eiffel Tower in Paris, the Brandenburg Gate in Berlin and Dubai's Burj Khalifa, the world's tallest building.